Green Future Solutions has just launched our new website, Low Carbon Singapore, an online community dedicated to help Singapore reduce her carbon emissions and move towards the goal of a low carbon economy. Our aim is to educate individuals, communities, businesses and organisations on issues relating to climate change, global warming and clean energy, and to help them take action and reduce their carbon footprint through useful information, news, tips and resources. 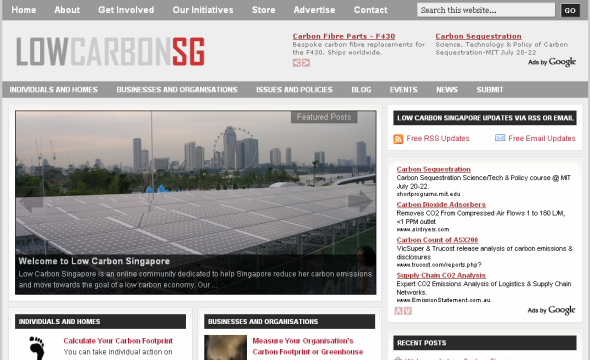 Do take some time to browse around our site at http://www.lowcarbonsg.com. If you have any suggestions to make the site better or to report any bugs, do let us know. Thanks.